MTV’s Virgin Territory – this show offers viewers the opportunity to enter into the minds of young adults who are virgins and hear their stories. This docu-series styled show contacted me asking for my expertise as a Psychotherapist and Relationship Expert during the filming of this show, to provide my insight and tips for one of their participants named Emily. I congratulate the producer for her forward thinking and openness to support participant Emily in her desire to receive therapeutic insight during the filming of this show. The episode I appear on: Season Finale for Season #1. Original air date: September 24th, 2014. Emily is a 21 year old female who lived with a septate hymen. Thus, sexual intimacy was something that she stayed away from as it physically hurt her to have any form of penetration (even a tampon, or a finger). With the emotional support of her boyfriend, in her goal to experience her full sexual functioning, Emily received surgery for her medical problem. Post surgery, she found that penetration still hurt, and therefore she made the choice not to experience penetration of any kind. Though, she longed to experience her sexual side of herself, and she desired to grow in her comfort in being sexually intimate with her boyfriend. This is where I come in. In meeting Emily in my office, I shared with her that her physical pain with any form of penetration, that was no longer due to currently having a septate hymen, was due to the fear that penetration will hurt. For our memories of pain, can induce a tightening of our physical body due to our emotional fear, thereby keeping our old pain as though it is current. Similar to a PTSD concept. The mind-body is intimately connected. Within 2 sessions I incorporated a psycho-educational approach to our work together, insight oriented dialogue by discussing how her thoughts and physicality makes sense based upon the context in which it is in, cognitive behavioral strategies, visualization of the beauty of self rather than the negative view she was experiencing, with an overall therapeutic approach of a solution focused methodology. It was my goal to have a clear understanding of what Emily was feeling emotionally, explore her fears, and learn what she ultimately desires in a relationship. We addressed the importance of self health. In addition, I also discussed with Emily that whatever her future holds, whether it is with her current boyfriend or not, experiencing the joy of feeling good about her sexual self, safe and comfortable to explore her sexuality with herself and in a trusting loving relationship is a beautiful part of womanhood. I compared the female’s sexual organ to that of a beautiful flower. Emily was courageous to desire to receive help. She was brave in her desire to help others by sharing her story on air. MTV was kind to provide this help for her and bring her to me. Airing this topic provides viewers the opportunity to realize that we must not be embarrassed to seek out help. I am hopeful this episode in which I appeared plays a role in helping decrease the stigma that is often attached to counseling. With television programs which display that to have a person to talk to is not something to fear, and that it is brave to seek out help, and that it does not mean that you are crazy, I am hopeful that the stigma can decrease. Talking about one’s fears, concerns, and desires, with a caring and skilled professional can truly help people to help themselves get to a better place. One of the aspects that is interesting about the TV genre (among additional items), that is obviously different then; in office talk therapy typically, is that there’s a camera for TV, of course. No camera in typical talk therapy. Another obvious difference is that the person who met with a mental health professional, is not disclosed to so many when TV is not involved, for the client-therapist relationship is privileged. TV offers the opportunity to educate through the form of participatory work together between those of whom are involved in the project. I commend the producers in that they truly took a step back and were vested in allowing Emily and I to chat freely and openly. And I am so glad that they did, for I feel blessed for having had the opportunity to meet Emily. Under any other circumstances we never would have met (e.g., we are in different states). MTV transported her to me. To offer viewers the opportunity to know that consultation can be quite helpful, ah what a great gift for a mental health professional. Human sexuality, one’s sexual exploration with one’s own body with one’s own self (which is something important to explore when working with someone who is struggling with sexual intimacy, and indeed we did), one’s sexual bond and connection with one’s partner (also important to discuss, indeed we did) – this is not something to refer to as taboo. This is an important topic. For as adults we connect with ourselves and our mate through the 3 legs of intimacy (emotional, physical, and sexual). A significant component in having a healthy adult relationship with one’s mate, if one’s desire is to have a long term healthy relationship is to have these 3 legs of intimacy with an overall umbrella of healthy communication. 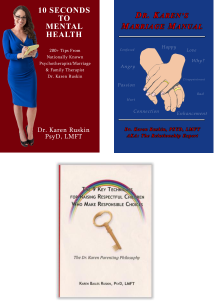 For 20+ years I have been providing couples, individual and family counseling. My specialty is in the relationship we have with ourselves and others. It is always such a gift to me, when I have the opportunity to team up with a network and offer insight and tips to educate the masses. I believe sharing my insights on air is a gift because it is one clear way to educate and touch so many. As a helping professional, to touch so many lives is a blessing. To know that there are young adults out there, males and females, that may be touched by watching this show, to learn that seeking out help is not to be feared, and that medical and emotional issues is not something to be embarrassed about, and to take ownership of your self and relational care – if this is the role I played, for that I am grateful. And Emily… I know you are reading this: I am so proud of you, and you know I am so glad that we met. I know you made tremendous strides post our work together, I am genuinely touched by that and so thrilled. Enjoy your life journey… For any other gals or guys out there struggling with their self worth and human sexuality, don’t fear seeking out help. Learn from Emily, even the fear you think you shall never overcome, you can. Emily posted a blog about her experience. It touches me beyond what words can describe that her experience was so positive. Here’s a blog about her consulting experience with me. Next post: Woman Ask Man To Marry? Ebola Anxiety! Divorce A Cheater?